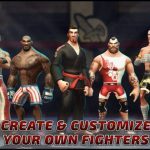 MMA Fighting Clash is a new mixed martial arts game from Imperium Multimedia Games, and if we are to give you a succinct description of what this game is about, it’s a more casual alternative to Electronic Arts’ popular, yet intensive EA Sports UFC. You can choose from 25 legendary fighters, which are described as lookalike versions of real-life MMA stars, such as Conor McGregor, Jose Aldo, Ronda Rousey, and even the late Kimbo Slice and Bruce Lee. Each fighter has their own strengths and weaknesses, while the game comes with different modes – you can relax with a quick fight, or see if you can survive challenge mode. And since this is an MMA title, you’ve got different types of moves – punches, kicks, clinches, and takedowns – as well as different fighting disciplines such as Brazilian jiu-jitsu, muay thai, and kickboxing. At this point, we should remind you at the game that’s currently available on Android is still a lite version; the full version is due to roll out in September, and that’s going to come with several more features. But Imperium did nonetheless release a fairly full-featured title that offers a solid enough gaming experience, so with that in mind, we shall now be presenting our first MMA Fighting Clash strategy guide, as we kick off with some general tips for beginner players. We learned this the hard way, but if you quit the game midway through the tutorial, in hopes of going back to a portion you had somehow missed, you won’t be able to go through it again when you restart the game. The only workaround here is to uninstall MMA Fighting Clash, then reinstall it again. 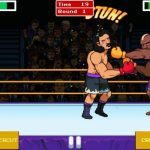 But for the benefit of those who want a quick and easy guide to the main controls, they are as follows: tap to jab, swipe for a cross, swipe up for an uppercut, and swipe down for body punches. You can move your fighter around by swiping on the directional pad on the lower left side of the screen. This isn’t a tip as much as it is a warning or disclaimer, but we’ve noticed that the controls in this game are a bit unwieldy. For example, you may need to swipe up twice if you want to land an uppercut, or swipe down twice if you’re aiming at an opponent’s body. This is something we hope Imperium could fix in future updates, but in the meantime, you can try double-swiping if swiping once doesn’t do the trick for basic moves that aren’t a jab. As you land more blows on your opponent, your special meter on the lower right hand corner of the screen will fill up. Each time it fills up, a new special move will be unlocked, or you may have a chance to attempt a clinch or a takedown. In most cases, you’ll want to save up all those moves and hit your opponent with them all in one go, though if you’re losing a fight and need to get back on track quickly, you can potentially turn the tide by hitting one special move. But why should you stack those moves and hit them one after the other? We’ll tell you why in the next tip. MMA Fighting Clash has a “critical” mechanic, where a fighter, may it be your opponent or your own fighter, will be seemingly dazed and unable to do much on his end. Once a fighter is critical, all it would take are six punches of any kind to knock him out, regardless of how many hit points he has remaining. That means a great opportunity to score a knockout if you’ve rendered your opponent critical, but imminent danger if you’re the one who’s in a critical state. So how do you get around this? We would suggest swiping away so you can dodge your opponent’s blows. Critical status lasts only for a few seconds, but so much can happen in that period of time. Perform evasive maneuvers, though, and you should be fine. Prior to a fight, you can activate your Boost, which would add to your stats and give you a better chance of winning. It’s advisable to use your Boost only when you’re up against an opponent who’s got a better rating than yours; it’ll only go to waste if you use it on a weaker opponent, or an evenly-matched one whom you’ve beaten before. As for adding to your Boost, the game will sometimes ask you if you want to watch an ad video. Watch the clip, and you’ll get some free Boost, though once again, you should use it wisely and not just because you have it. Stop us if you’ve heard this one before – the best offense is a good defense. Given the tricky nature of the controls we told you about earlier, and given the fast pace of this game, you’ll need to survive those flurries from opponents if you don’t want to be rendered critical. And the best way to survive is to throw in some blocks, or step back, left, or right to avoid your opponent. Though we’re not saying you shouldn’t block when fighting defensively, we find it more effective to dodge your opponent instead. The stamina bar is the light blue bar located below the red health bar, and it’s just as important as that one. The game itself warns you of this, but you’ll have to make sure you don’t let your stamina go too low. Don’t throw punches or kicks for the sake of hitting your opponent. If you get the opportunity, clinch so you can recover some of your health and/or stamina, and make your moves count as much as possible. Fighting wastefully will only tire you out. It may sound tempting to spam the jab; after all, it is the only attack type in this game that doesn’t involve any unwieldy swiping. All you need to do is to tap on your screen and make sure you’re in striking range of your opponent. But as the game would warn you, you shouldn’t fight with one type of attack alone. You need to mix it up, because the computer AI will be able to predict your next move, and plan their attack accordingly. Unpredictability is the key to victory, so mix it up whenever and wherever you can. In order to unlock more fighters, the best thing to do is to play, play, and play some more. Quick fights are a good source of easy currency, though you can also win big when playing Challenge Mode, which would require you to beat seven progressively tougher fighters in succession. Don’t worry if you lose a match or two; even in defeat, you can earn coins, which you can then use to buy a new fighter or two. Speaking of Challenge Mode, you can also unlock some fighters that way. There are some which would really require you to complete a seven-match Challenge and are thusly unavailable for purchase with coins, so don’t take this mode for granted.